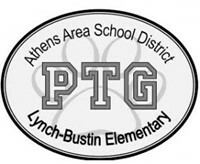 Welcome to the Lynch-Bustin Parents Teachers Group (PTG) Page! The mission of PTG is to coordinate a strong organization of volunteers and to raise funds that can be used to enhance the learning experience of Lynch-Bustin students. The PTG provides assistance to classroom teachers, raises funds for educational materials, school programs, field trips and special events, and supports school and family social interaction. We encourage all parents to attend a PTG meeting if you are available or to contact a member if you have any questions. This is a closed group so you will have to ask to be added & confirmed you have a child at Lynch-Bustin.